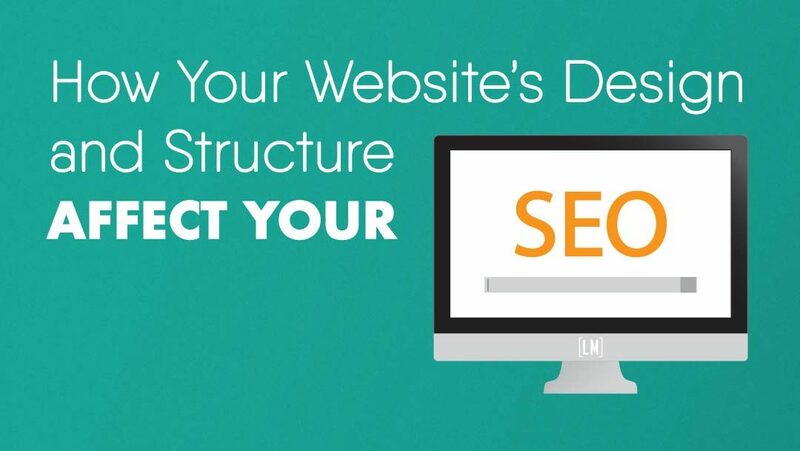 An often overlooked area for SEO improvement is the website structure. Your website’s structure is the framework by which everything else is built. Without a solid structure, attempts to improve your SEO will not be as effective. In this article we will discuss how your domain name, website navigation, url structure, mobile friendliness, and page speed affect your website’s SEO. This article is a snippet from our Small Business SEO E-Book. To see how you can improve your website further by optimizing your content and images you can download your free copy here. A domain name is the part of a URL between the “www.” and the “.com”. It can help rank your website higher in search results if it is relevant to the search being performed. For example, if you sell bikes in Toronto, you could to get a domain name like “www.torontobikes.ca”. If a consumer searched for “toronto bike store” your domain name would have a higher chance of showing up than a domain name like “www.bigcitycyclists.ca” would. While this is not as big a factor as it once was, having keywords in your domain name is still desirable. There are other important factors you should consider when choosing a domain name though. For a thorough discussion on picking a domain name you can check out this article from Search Engine Journal. With your domain name now set you need to consider what comes after it. 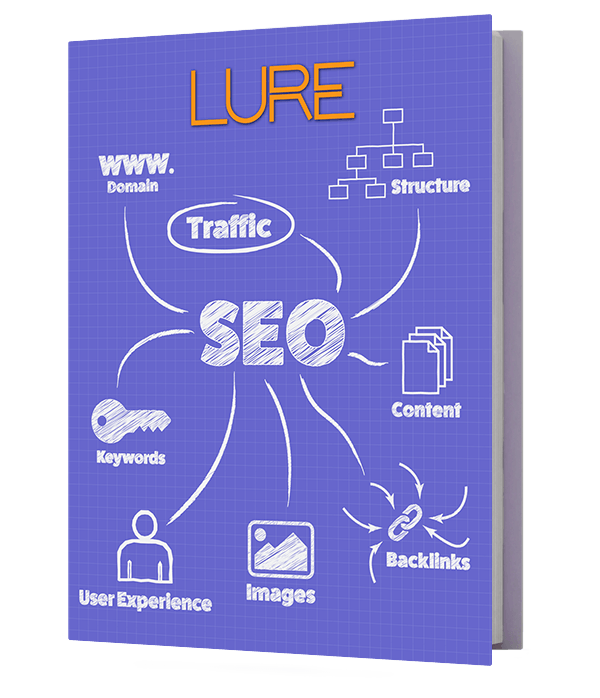 The structure by which the rest of your url displays is important in terms of SEO. Just like the domain name, having keywords in the folders and paths of your url will help you rank in relevant searches. To demonstrate we will go back to our example of the bike shop in Toronto. Let’s say that they are creating a page for their new mountain bike. Which URL do you think would help the SEO of their new page “www.torontobikes.ca/new-mountain-bike” or “www.torontobikes.ca/product-2235?”. Of course the first one will help more with SEO as it gives the crawlers more relevant information about what the page content is about. While this may seem obvious, popular Content Management Systems (CMSs) like WordPress will default to using URL structures similar to the second example. You can, and should, change this default structure in the settings of the CMS. Search engines use folder and page names to help figure out what the page is about. They will give more weight to keywords in top level components like your domain than to lower level components like anchors. It’s important to always consider page depth when adding a new webpage. The deeper your website is, the harder your content is to find. This can lead to key pages of your website not getting indexed. A page that is not indexed is not shown in SERPs. If you’re not sure how your navigation is built contact your web developer to find out. 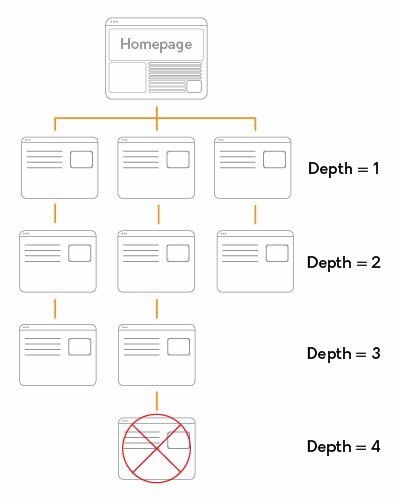 Website depth is another thing that everyone designing a website needs to consider. The “depth” of a webpage is the number of clicks it takes to reach that page from your homepage. If your website has a depth of four, a visitor is able to reach any page within four clicks. To make your website shallower you can either restructure your menus or add internal backlinks to your webpages. “Shallow” websites, websites that require three or less clicks to reach any page, are easier for search engine bots to crawl. This allows your website to be indexed much easier. Not only are shallower websites easier for search engines to crawl, the usability of your website is also improved. Visitors will find it easier to find the content they are looking for. Visitors that easily find what they want will stay longer and interact more with your website. As this infographic from Kissmetrics demonstrates, if your website is slow you’re passing up a lot of money. Almost half of consumers now expect a website to load in under 2 seconds. 40% of them will leave a website that takes more than three seconds to load. It is therefore clear that webpage load times are a big factor in consumer experience. With this in mind, Google announced in 2010 that they would start taking website speed into consideration when ranking websites in its SERPs. While they are vague about exactly which aspects of page speed they are measuring, your overall site speed should be a priority. How do you test your site speed? Google released their PageSpeed Insights tool to help you gauge how fast, or slow, your website is. To test the speed of your website simply insert your URL into the field provided and start the test. Once complete you will be given a score out of 100 for both mobile and desktop speed. You will also be provided with a list of suggestions to improve the speed of your webpages. We live in a mobile world. Over half of all internet traffic now comes from mobile phones and tablets. Consumers expect your website to look and function as well on their mobile device as it does on their desktop computer. With this in mind, search engines have started punishing websites that aren’t mobile friendly. In fact, after analyzing 15,000 websites, Hubspot determined that websites that aren’t optimized for mobile experience a 5% decline in their overall traffic. 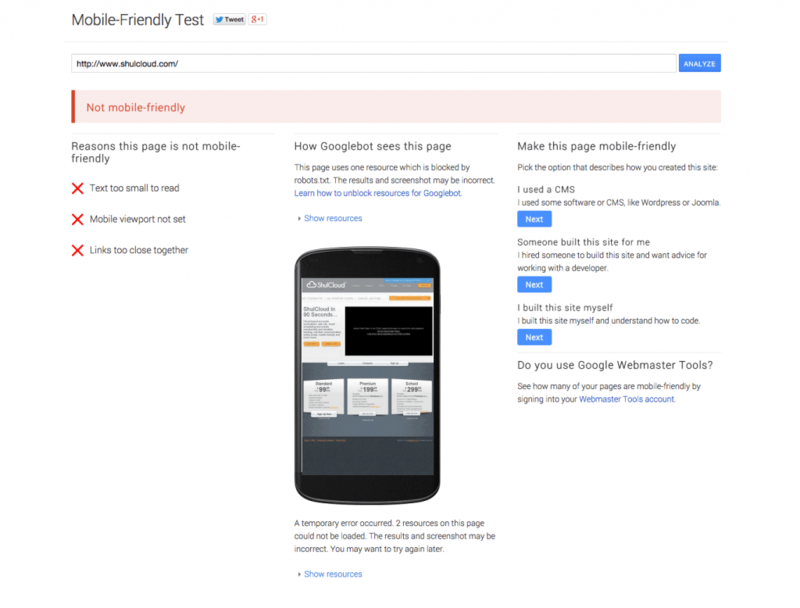 To test your site for mobile friendliness you can use Google’s free Mobile-Friendly Test tool. As with PageSpeed Insights, simply insert your URL and start the test. Once Google has analyzed your website it will tell you whether or not it believes it to be mobile friendly and display a preview of how it thinks your website would look on a mobile phone. After running the Mobile-Friendly Test you are given this results page. Since this website isn’t mobile friendly, a list of suggestions is given on how to improve it. Google also supplies a preview window to show you how it sees your website. If Google says that your website isn’t mobile friendly then first pull up your website on your smartphone. Your website should look exactly the same as it does in the preview window. If it looks different in the preview window then it does on your phone your robots.txt file may be blocking something the crawler needs to determine mobile friendliness. You will need to contact your web developer to fix this. It is a simple fix and should not take them more than an hour to do. To test the performance of your website further check out these 5 free website testing tools. While often overlooked, the design and structure of your website can have a big impact on your SEO. These are only a piece of the overall puzzle however. For a more thorough examination of how you can improve the search engine ranking of your website download our free small business SEO e-book.